The cinema of old took a front and center presence in this past week’s viewing schedule. Three of the four movies I saw over the previous seven days originate pre-1960, while two of them were made by famed Swedish director Ingmar Bergman. Other common bonds: each deals with behaviors and feelings more than stories, and each seems to look into itself from a cracked mirror. Insanity, jealousy, mortality and desperation are deep-seeded ideas in all of these as well. Were they intentionally chosen as such? Not in the least. It was a coincidental parallel. Perhaps this implies that the golden era of both Hollywood and European cinema preferred to deal with reflective impulses, qualities that might seem rare in today’s industry. The list also stresses a feeling that has been sitting at the back of my mind for the better part of a few weeks – that right now, in this moment, the old movies mean much more to be both as a writer and as a thinker than the new. I have even tinkered around with a few ideas that may become specific goals for the site, too – one would involve me reviewing each film that ever won an Academy Award for Best Picture, the other would involve reviewing all films under a specific director’s cannon, etc. Both are rigorous ambitions, but both are also productive – and educational – challenges. Challenges which I feel might be worth embracing. Olivia de Havilland was an extraordinary and gifted actress in her day, perhaps far more than most might have given her credit for. Much like Sally Field in “Norma Rae” or Charlize Theron in “Monster,” her role in the Oscar-nominated “The Snake Pit” was a risky challenge in the sense that it destroyed early perceptions of the star by asking her to take an alternate route. The movie itself was also the first of its kind to show the interior existence of mental patience in a psychiatric hospital, which may or may not have set the groundwork for “One Flew Over the Cuckoo’s Nest” years later. Apart from the movie’s diverging nature, though, is basically just a really well-acted, well-written character study that has genuine respect for its subject matter and engages you on many levels. De Havilland is simply extraordinary in the role of Virginia Cunningham, a woman who has fragmented memories of her own life since childhood, who finds herself caught in a situation that she desperately hopes she can overcome. At 108 minutes, it’s just the right length for its then-controversial subject matter. Rent to own, especially if you are an aficionado of the Hollywood golden age. One of the most harsh and truthful essays on the human condition ever made. Ingmar Bergman’s break-out hit of 1957 is mesmerizing in its intimacy with characters, and brave in the way it directly deals with difficult subjects that refuse to have simple answers. Starring Max von Sydow as a Swedish Knight recently returned from the Crusades, his faith is shaken by the implication that death may lead to nowhere, and that the idea of a plane of existence beyond the physical form may just be, well, a fallacy. The supporting characters each battle similar feelings on different levels of psychosis , and the physical presence of Death in the form of a dark hooded figure adds dimension – and timeliness – to their internal quests for answers. 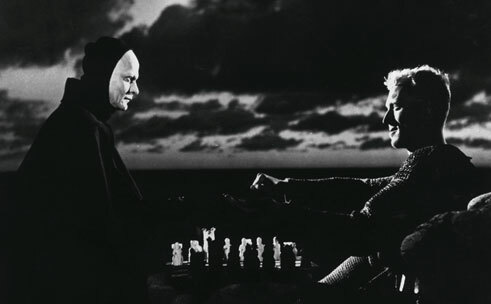 The image of both he and Antonius Black playing a game of chess on a beach is one of the most striking images I have ever seen on film. A must-own for any fan of film. 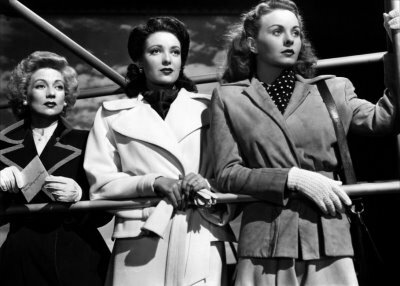 Perhaps not nearly as lasting a film as “The Snake Pit” from the 1940s, “A Letter to Three Wives” nonetheless inspires amusement. Thee friends, each married to a man who may or may not have secret feelings for the town’s flirtatious socialite Addy Ross (who is never physically seen in the movie), receive a telegram on the day they are away from home, announcing that she has run off with one of their husbands – and none will know which one it was until the movie comes to a close. An interesting premise with great potential to inspire deep and revealing dialogue exchanges takes a safer route and instead decides to deal in routine flashbacks. Nonetheless, it is a well acted comedy with an ensemble that includes the great Ann Southern, Kirk Douglas and Linda Darnell. A passable Saturday night time-killer. Rent it or see it on cable. There is nothing time-killer about this, another one of the great Ingmar Bergman masterpieces. At only 91 minutes, “Cries and Whispers” is paced to slow and agonizing proportions, a tactic that effectively leaves us unsettled because of the serious and hard subjects the movie is dealing with. Provocative in the way it contrasts such stark hues with a story that feels like it might leave you with physical scarring, it tells the story of two sisters who are taking care of their dying sister, who in her last days is confronting all the regret and pain that has followed her through the years in order to have a better understanding of her intended purpose. Moving performances and set decoration that allows women dressed in white to practically glide through the air with a background saturated in deep reds and crimson. One of the most beautiful looking foreign films I have ever sat through. Buy it!